Going to restaurant with your friends, relative or partners is a great occasion to have good time and enjoy a culinary experience. When it comes to choose the wine, most of the time arrives the moment of concern. First you need to find the person who will be ordering the wine. Never easy, as it looks complicated, most of the guest will try to not be involved. In fact it’s complicated because it’s made like that by the restaurant itself. Choosing a bottle of wine, should be the same feeling than selecting the finest flowers for your relative’s birthdays, a full moment of joy and excitation. At contrary, most of the restaurant made a wine list easy….for them, not for you. 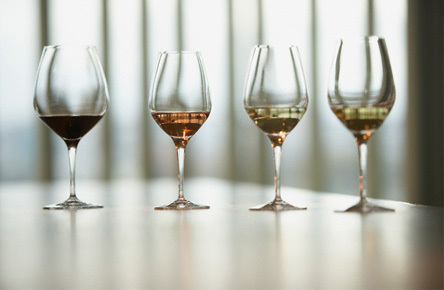 Classifying the wines by country only, will be useful by international wine connoisseur only. However organizing it with sufficient information’s for everybody to understand is the key. Nowadays, 2 Wine Bar are open and proposing and complete and professional wine service. If you don’t have the chance to know such place here are some tricks. In a regular wine list, we should be able to have white wine and red wine separated. As well, an indication of the grape will be, according to me, a minimum to have. When you have a wine list classified by country, I would say most of the time, old world wine (from Europe) will taste dryer and a bit lighter with more complexity than a new world wines (everywhere else in the world). So it could be a good indicator about the style of the wine, however you would need to know either the production area or the grape used to appreciate how it will really taste. I suggest to go on the grape name has they all have a characteristic and they will be used in different region, most of the wine list will have them mentioned, if not, please ask the Sommelier. The price indication is important to follow your budget but do not select the wine by its price. A good wine list, selected with care, is made with value for money wine, from the cheapest to the most expensive, they are all good wines. If you are not sure about the wine selection, refer to anything you are familiar with (country, grape, producer). Wine is not a beverage suppose to be complicated or unreachable, the duties of a restaurant or a Wine Bar is to provide you all information’s, written by having a wine list will all you need to know to select the wine and proposing the service of sommelier who will be here not to sell you a bottle but to guide you and insure your wine experience will be memorable.